A production firm owned by the industry giant came under fire after Hollywood star Harrison Ford was crushed beneath a hydraulic door. 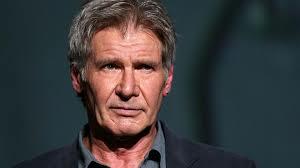 A film production company owned by industry giant Disney has been fined an incredible £1.6million – approximately $2.8 million – following a “deplorable” workplace accident involving Hollywood star Harrison Ford. The incident – which occurred on the set of latest Star Wars movie – saw Ford knocked to the floor and crushed beneath a heavy hydraulic door. While staff were quick to engage an emergency stop button, they were not able to prevent the door coming down with “enormous' force” and Ford – who was 71 at the time – became trapped underneath. A court heard the door came down in just 1.6 seconds, breaking Ford’s tibia and fibula while also dislocating his ankle and lacerating his hand. The Health and Safety Executive said the power of the rapidly closing metal-framed door meant Ford was hit with a power comparable to the weight of a small car. Foodles Production (UK) Ltd – the Disney-owned firm which was set up specifically to make the film – admitted two counts of breaching its health and safety duties in relation to the on-set incident. “The greatest failing of all on behalf of the company is a lack of communication,” said Judge Francis Sheridan, who was presiding over the case. Sheridan went on to scold the company for its “crazy approach” to health and safety after learning the door was remotely operated by someone who could not even see the actor. “Had the wrong button been pressed it would have continued to crush down on Mr Harrison Ford. It's just incredible that so much was left to chance,” he added. The judge also said it was “deplorable” that the door was not installed with an automatic emergency cut-off, relying on human intervention instead.